Union Budget just before Assembly Elections - Is it a Fair Move? Group Discussion Ideas > Political GD Topics > Union Budget just before Assembly Elections – Is it a Fair Move? In November 2016, Central Government announced that Union Budget will be presented on 1st Feb 2017. Generally Union Budget will be presented on the last day of February. It was advanced by a month to ensure speedier implementation of schemes. On 4th January 2017, Election Commission of India (EC) has announced the dates for Assembly elections in 5 states starting from 4th February 2017. This announcement is being opposed by almost all the opposition political parties (16) on the basis that voters can be influenced through the budget and it will not be a free and fair election process. EC mentioned that this clash between union budget and election dates doesn’t violate ‘Moral code of conduct’. 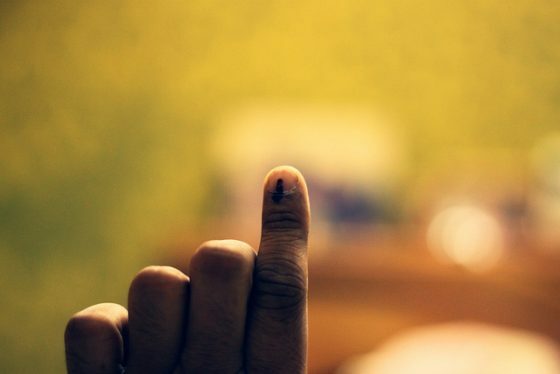 The tenures of present governments in the five states going for election will be ending on 1st, 5th, 9th, 13thand 14th of March for Punjab, U.P, Goa, Uttarakhand and Manipur respectively. According to constitution of India a new government has to be elected at the end of tenure of the present government to run the law & order and administrative duties of the state smoothly. The announcement is in accordance to constitutional duty. As election of public representatives is one of most important aspect of the democratic institution, it has to be conducted at defined intervals as a part of the basic structure of the Constitution. EC has its own planning and schedule for all such decisions irrespective of any announcements, rallies or parliamentary sessions. Union Budget belongs to the entire nation, whereas assembly elections are being conducted to only 5 states. Conflict between these two should not be a big concern. EC is an autonomous constitutional body and every citizen of India must have faith in its working and administration of the election process in India. Elections dates were finalized by keeping an eye on the situation in Manipur. There is a feud going on in Samajwadi party which is ruling U.P. the most populous state of India, the government was not working properly due to their internal matters so it’s a good announcement for the people of U.P. Uttarakhand has also seen many ups and downs within the present tenure of the government. It’s time to elect a stable government by considering political instabilities in Utterakhand. Uttar Pradesh and Manipur comprise large number of rural voters among whom there is still not much awareness about the demonetization and its positives and negatives, which may leave them in confusion. So, union budget can give a clarity to people about what they can expect from this government. All the opposing parties have the valid point that the announcement made during budget session may influence the decision of the voters. Opposition parties will try to disrupt the parliament during budget session to spread bad impression about the government in the public as they did during winter session. The present government may take drastic decisions in Union budget to woo voters. In India from gram panchayat to Vidhan Sabha & Lok Sabha all the members are elected to their respective positions by the citizens of India. These elected officials at the local, state and central levels are part of Indian federal government. Elections in India are conducted by the ‘Election Commission of India‘. All the representatives of the government bodies from Sarpanch to Prime minister are elected for five-year term. After completion of five years, elections for new representatives is conducted. Sometimes, before completion of five years, either the head of the respective bodies (Panchayat sarpanch, Chief minister and Prime minister) can dissolve the body to go for next elections or the election commission announces elections in the national interest. As all the state governments were about to finish their tenure in the March the decision taken by the Election Commission of India might be in right direction. All the parties, candidates and the government must follow a voluntary “Moral Code of Conduct”to ensure free and fair elections.